Check Out Pelican Parts Extensive Tool Catalog! Did you know that we have over 30,000 tools that you can purchase to work on your weekend project or just to have in your garage for the unexpected repair? We are constantly adding in more new product to make your shopping needs that much easier. 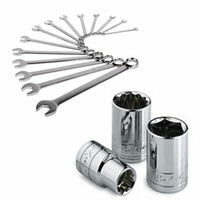 Be sure to check out everything from pliers, screwdrivers, sockets, engine tools, diagnostic equipment and so much more!